She died. You're next. Now he's coming for you Ten years ago, Jen's cousin Meg killed herself after failing to escape an abusive relationship. 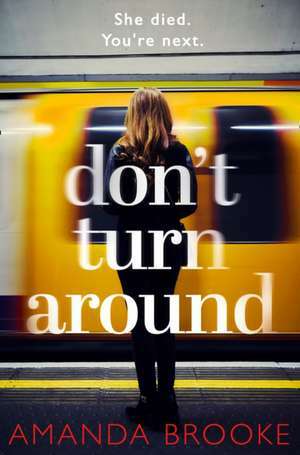 Now, Meg's ex is back and Jen's domestic abuse helpline has started getting frightening calls from a girl who knows things about Meg - details that only the dead girl or the man who hurt her could have known... As Jen starts to uncover the past, someone is determined to stop her. Can she save this young woman from Meg's fate? Or is history about to repeat itself?